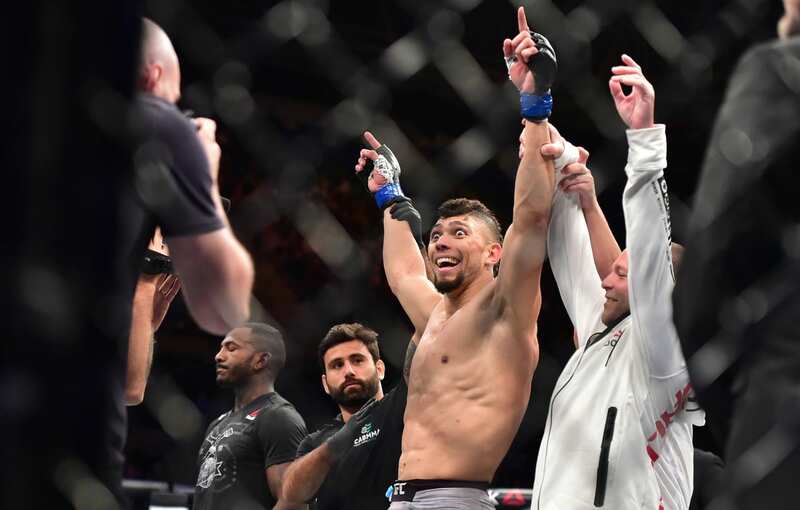 Hyped light heavyweight prospect Johnny Walker had a shot to send his momentum further into the stratosphere when he met Justin Ledet on the main card of tonight’s (Sat., February 2, 2019) UFC on ESPN+ 2 from the Centro de Formação Olímpica do Nordeste in Fortaleza, Brazil. Walker did just that in jaw-dropping time. He hit Ledet with the rarely-seen hook kick-to-spinning backfist combo. Some unnecessary follow-up shots came soon thereafter and the referee stepped in to hand Walker a win on his native soil. Interestingly enough, he almost hit Ledet with an illegal kick on the ground that didn’t connect. 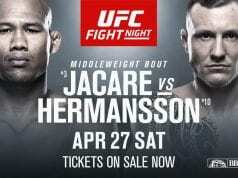 He now has two vicious first-round stoppages in his first two official UFC bouts.